Niederau is in the Austrian Alps in Austria at an altitude of 828m2,717ft. When will it snow in Niederau? The next notable snow forecast for Niederau is 9cm3in, expected on 26 April, with around 27cm11in forecast over the next 7 days. The Austrian Ski Resort of Niederau is part of the Ski Jewel Alpbachtal Wildschönau area with access to 145km90 miles of downhill skiing, with 83 marked pistes, served by a total of 47 ski lifts. In addition to the skiing in Niederau itself (18 pisted ski runs), the appropriate ski Lift Pass will allow you to ski or snowboard in the other Ski Jewel Alpbachtal Wildschönau ski resorts of Alpbach, Auffach, Kramsach, Oberau, Reith im Alpbachtal and Thierbach. Niederau offers good sking, particularly, for Intermediate and Beginner skiers. Niederau offers some good boarding and there is a Snow Park in Niederau. NOTE:- Lift and Piste openings are always subject to Snow Conditions in Niederau. Niederau is able to make snow, with 17 snow cannons. The 10 ski lifts of Niederau are able to uplift 14,000 skiers and snowboarders every hour. Niederau is in the Austrian Alps in Wildschönau, Kufstein, Austria. The nearest airports to Niederau are Innsbruck Airport, Salzburg and Munich. There are seven airports within three hours drive. Innsbruck Airport is just one hours drive away, in good driving conditions, so you can be on the piste quickly. Want to Know when it Snows in Niederau? 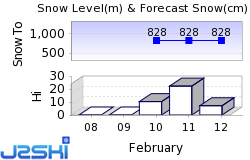 Click above to get Snow Reports by e-Mail for Niederau. By doing so, you agree to Our Rules. 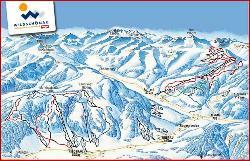 Other Ski Areas within Ski Jewel Alpbachtal Wildschönau. Other popular Ski Areas near Niederau. Want to ask about skiing and snowboarding in Niederau?